Göksel Yilmaz was born in the Netherlands and is of Arabic descent. He grew up in South Turkey. 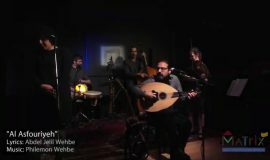 At a very young age he began to play the saz and specialized himself later in Turkish folk music. During his high school years, he formed his first band. Later he returned to the Netherlands where he started to play classical guitar. 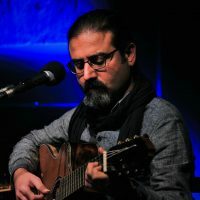 In 1992 he formed the band “Anadolu Ezgisi”, which he performed with for 10 years in the Netherlands, Germany and Turkey. In 1997 Göksel started to study classical guitar at the conservatory of Enschede/NL with concert guitarist and composer Louis Ignatius Gall. In 2000 he recorded a cd with “Anadolu Ezigisi”. 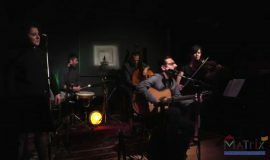 In 2003 he co-formed the multicultural band “Sedawaz”. 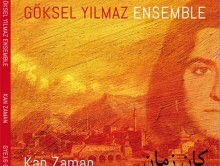 In 2006 he formed his new ensemble the “Göksel Yilmaz Ensemble”. Since its founding in 2006 the ensemble has played in The Netherlands, Belgium, Indonesia, Switzerland, Gemany and Turkey. In The Netherlands they played major festivals and theaters which include Music Meeting in Nijmegen, Dunya Festival in Rotterdam and RASA in Utrecht and Het Concertgebouw in Amsterdam.